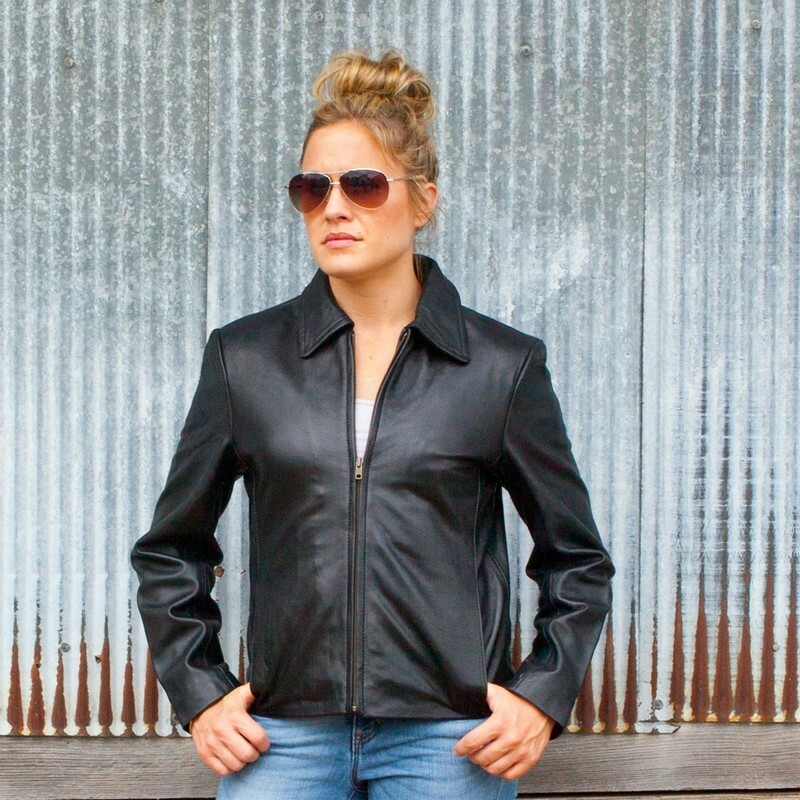 This women's jacket is a popular waist length design. It is made of soft New Zealand Lambskin. The Santa Anna Waist Length Custom Leather Jacket shoulders contain additional padding and the inside is made with a soft nylon lining. The J610 contains a high quality YKK antique zipper.